It’s been an inordinate amount of time since our last tete-a-tete, but you can blame this dearth of communication on the heavy mantle of fatherhood, which I now carry proudly across my shoulders. As such, the lightweight blouson of gaming has been left hanging on the neglect peg, although of late I’ve had occasion to don the casual-gaming bobble hat from time to time – specifically, I’ve been ploughing my way through Pokémon Shuffle quite shamelessly, though it pains me to admit it. Back when the game came out, I was pretty damn rude about it, claiming it showcased the very worst of free-to-play models. I still maintain that this is true – ‘pay to win’ is completely the worst way to approach free to play – but the game itself is a lot of fun, and the way that it rations hearts (read: ‘lives’) has actually worked well for my new circumstances. I often find myself with only the odd ten minutes here and there for gaming in between work and looking after Merriweather Jr, which is just enough time to run through my five hearts and put the game to one side (I’ve yet to actually spend any money on it). Nowadays, the shorter a game is, the better. I’ve also been playing a lot of Super Mario 3D World and Yoshi’s Woolly World, too – both are perfect for quick bursts. And any longer gaming stints I’ve been able to wangle have been put into Code Name STEAM, which I’ve been thoroughly enjoying now I’m used to the strange mix of real-time and turn-based elements, not to mention the odd but clever choice to not include a map. But the game I’m really looking forward to playing comes out next Friday – Project Zero: Maiden of Black Water for the Wii U.
It’s been fascinating to see how the game has completely divided the critics: EDGE magazine rewarded the game with an 8, high praise indeed from the famously harsh publication, whereas Eurogamer emphatically urged readers to ‘Avoid’ the title. I’m quietly confident that I’ll like the game, however: I’ve been hankering for another ‘proper’ survival horror title ever since finishing ZombiU back in 2013, and I’m disappointed with the action route that the Resident Evil series has taken of late – put it this way, Umbrella Corps has failed to set my hype gland a-pumping. Next Project Zero: Maiden of Black Water has arrived! I’m really looking forward to playing this, a bit of old-school survival horror is just the ticket for Halloween. Reckon I’m in for a treat! I wonder what the sales will be like? It’s digital only in America and mostly digital only in the UK (the only physical version is the collectors’ edition, which is exclusive to GAME). What’s the situation in Australia? 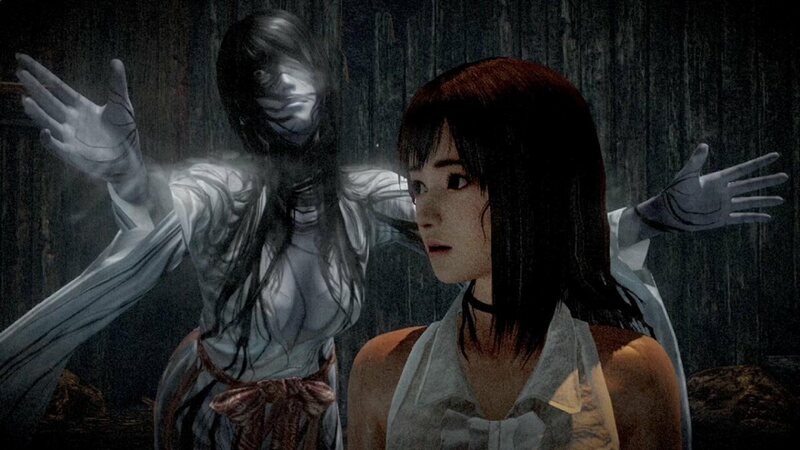 I’m hoping that sales will be above expectations owing to a built up desire for more survival horror games. It’s a genre that’s due a comeback! I see – only the limited edition is available in physical form in the UK. I wonder why they’ve released both the regular and limited editions in Australia and nowhere else? I know about the Clock Tower series though (I see it’s a spin off). I also see it came out in 2005, which is probably why I haven’t heard of it (I was living in Japan at the time and a bit out of touch with the game scene).